Looking for part time marketing work? We would love to consider you as part of our team. The job description is below. Please apply by sending a resume as well as cover letter to info@darlingtonco.com with a subject line of Marketing Coordinator Position. We are a leading San Diego marketing firm providing strategic marketing and branding for restaurants, grocery and other lifestyle brands. We specialize in supporting emerging businesses. Core competencies include strategic planning, managing creative needs, media planning, local store marketing, social media, website development, email acquisition, and implementation of virtually all marketing needs. This is an entry-level position that will require a hands-on approach with the guidance of our veteran team members to help grow our clients’ business, with a chance to experience many facets of consumer marketing. The coordinator will have the opportunity to help make an impact on the marketing and communications plans for several accounts learning marketing strategy, social media and event planning. With the freedom to manage their own projects, the candidate will be expected to take initiative to keep them moving forward. Are you up for the challenge? We offer a fun, team environment and flexible schedule. 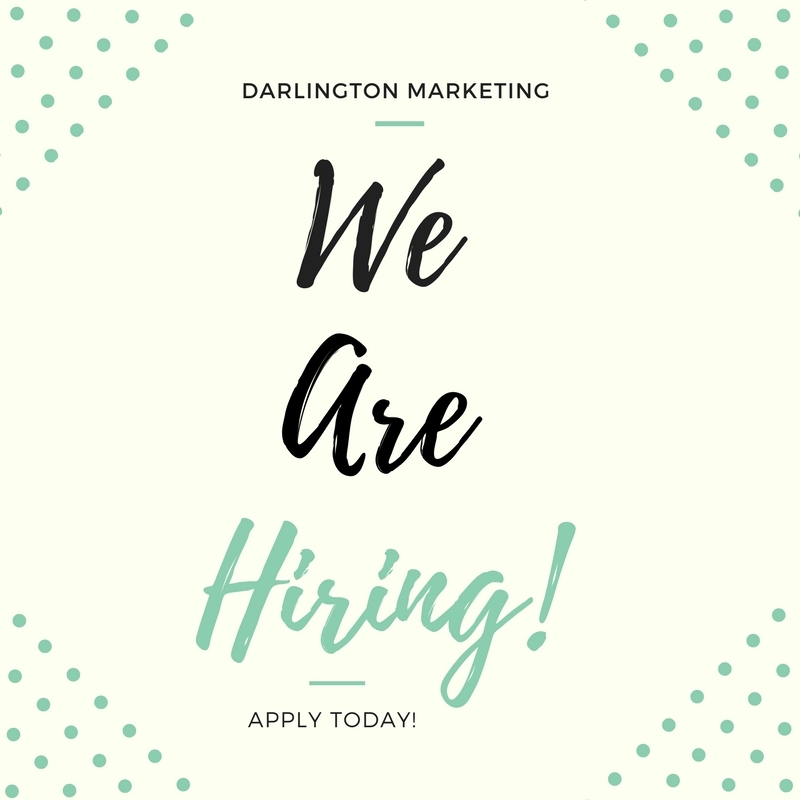 Please apply by sending a resume as well as cover letter to info@darlingtonco.com with a subject line of Marketing Coordinator Position. Thank you!